Wow, I have been dying to start this TR, but the computer monsters were against me. I had a major issue with my external hard drive and lost tons of my pictures. Thankfully, I had uploaded them in to Flickr, but it took a lot of work to get them downloaded and get the problem fixed on onto a new hard drive. I didn't want to load any more pictures until I had 2014 completed. That is done and while I still have a lot to do with some other years of pictures, I want to share our fantastic trip! 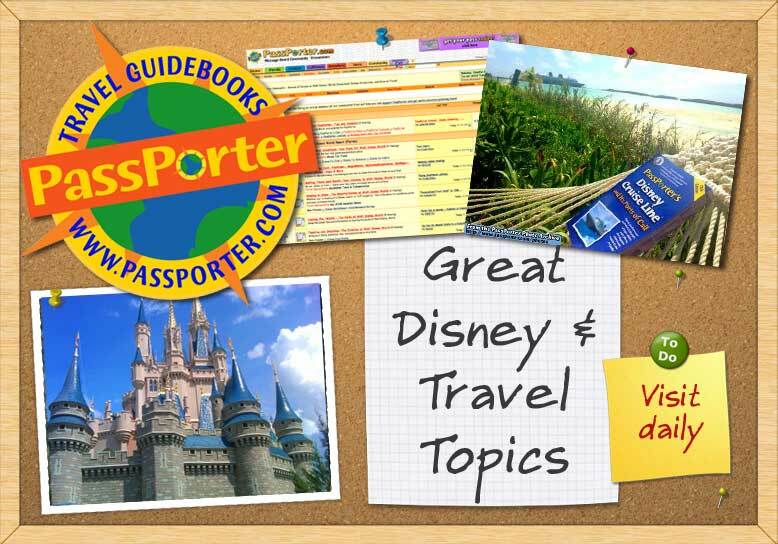 Me - Stefani - I'm the Disney Geek of the family and I am also the one that does all of the planning, booking, researching and pretty much everything to do with getting ready for our trips. Hubby - Pat - While he loves visiting the parks and enjoys most things to do with Disney he hates anything and everything to do with planning. 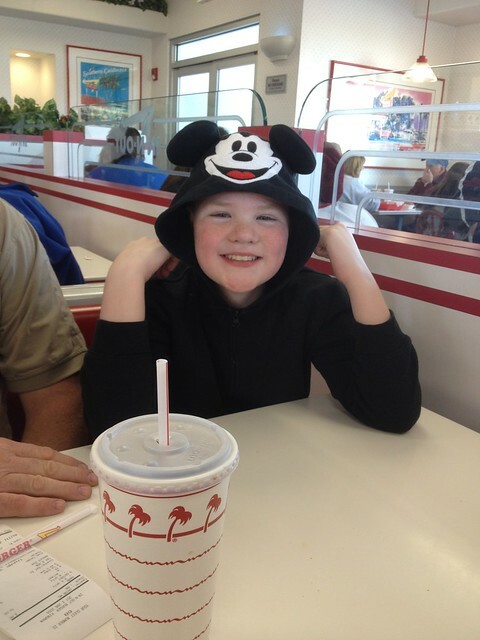 The most he will do is tell me a few must-do rides and what restaurants he wants to eat at. Daughter - Shana 14 - Shana loves the parks and loves going on vacation. She really enjoys learning and seeing new things on each trip. Even though she is a teenager now, she lets herself be a kid in Disney! 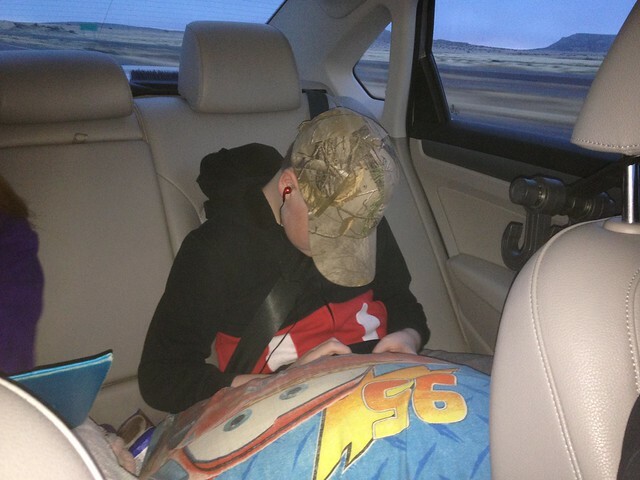 Son - Hunter 11 (well, he just turned 12, but on the trip he was 11 ) - Hunter really enjoys Disney. Hunter finally started trying some thrill rides and he really enjoys them. He likes to collect Vinylmations and do pin trading. 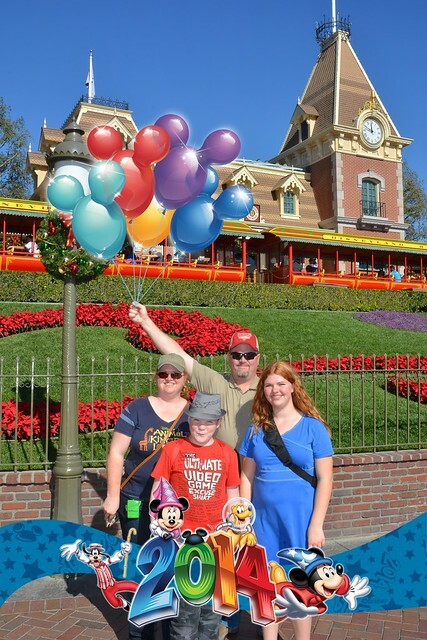 The reason for this trip, other than we love Disney, is that I had saved up 15,000 Disney Movie Rewards Points and had "purchased" the Private Walt Disney Studios Tour. We planned this trip around this tour. The tour is not until mid-way through the trip, so you will have to wait for the details on that. Sunday November 16, 2014 - A Blizzard in New Mexico! Since we live on 13-14 hours away and we have a diesel Volkswagen that gets about 50 miles to the gallon we decided to drive. We like having a vehicle when on vacation and driving lets us have our own vehicle. We left our house at about 3am so that we would be able to arrive in time for dinner. 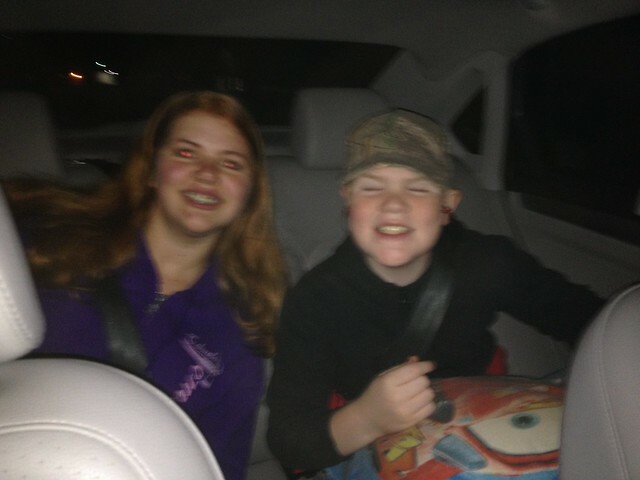 Here are the kids just as we were leaving town, sorry it is a terrible picture, but that's what you get at 3am! It also put us in an area with an In-N-Out Burger for lunch. We had heard that there might be a little snow and we were happy to get an early start. However, this changed when we were about 20 miles from Albuquerque. There is a section of road through a mountainy area, now I'm from Colorado so this is not the huge mountains like there, but still higher altitude. The snow was horrible, and all I could do was pray as we tried to get through it. We debated diverting to a more southern route when we hit Albuquerque, but once we got there the road were much better. I was checking road conditions and there was a stretch near the Arizona/New Mexico border that was showing severe conditions and ice, but it was only about 10 miles and we decided to keep going. I'm sorry I don't have any pictures of this, but I really was just trying to remain calm and it was not a fun section to drive. Well, we arrived in the area near the border and it was pretty nasty with lots of ice, but we were moving along at a slow pace. Until, we came to a dead stop! This, of course, was seconds after the kids saying they needed the bathroom. I have no idea why I didn't take any pictures during the full HOUR we sat still on the highway but I didn't! Thankfully, we all kept busy on our electronics and I was checking weather further along our route and thankfully everything past this point looked clear. I also found out we were stuck due to a crash only 2 miles ahead of us. We finally got moving again and although we all needed the bathroom we decided to press a little further as tons of people were getting off in the small town right there. 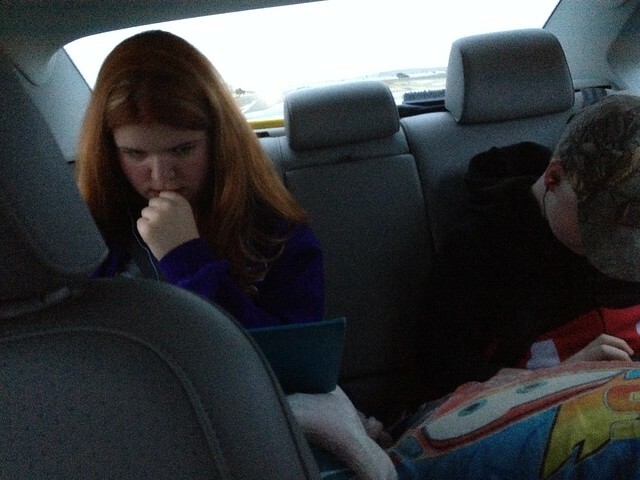 Here a couple pics of the kids enjoying the drive. I am pretty sure these were taken at some point between Albuquerque but before we got stuck on the highway. You would never think from these pictures that we went through the weather that we did. We made a quick bathroom stop at a small gas station just inside of Arizona and then pressed on. I was determined to get lunch at In-N-Out Burger so we only got a couple of snacks at the gas station. We finally made it to Kingman, AZ and In-N-Out Burger! I was so excited for my Double Double Animal Style! The place was packed even though it was after 1pm. 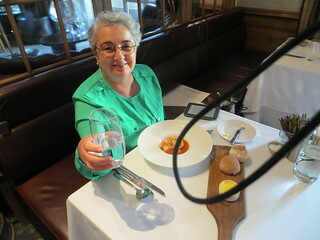 We were able to snag a table and enjoyed our lunch. I'm pretty sure at this point I took over driving. The weather was fine the rest of the way, but traffic through the LA area was of course a nightmare, but at least we weren't sitting still on the highway! We made our way to a grocery store near the resort and got some breakfast food and drinks. My stupid credit card was declined because we had been using it all day and I forgot to tell them we were going on a trip. Public Service Announcement: Remember to contact your credit card company BEFORE leaving on a trip. After we paid with another card we headed to the resort. We were so excited to get checked in to Disney's Grand Californian. This is one of my favorite resorts. I just love the theming! 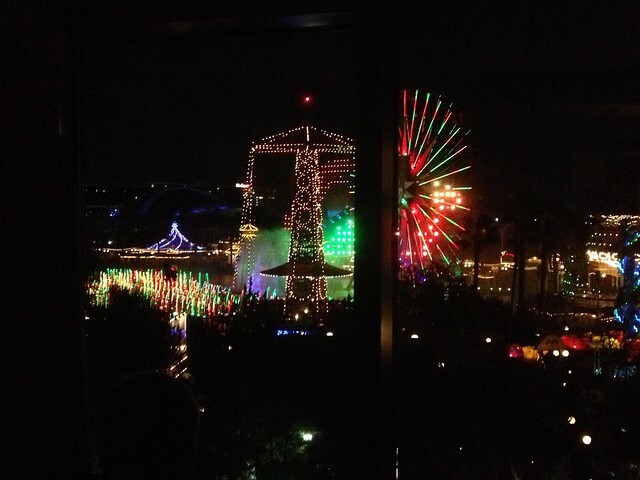 If you read my PTR, you know I had requested and even faxed a special request for a theme-park view. Well, we got checked in and sure enough we got the view! 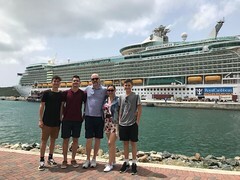 We were all hungry and pretty tired at this point and decided we would just go to the White Water Snack and get some food to bring back to the room for dinner. 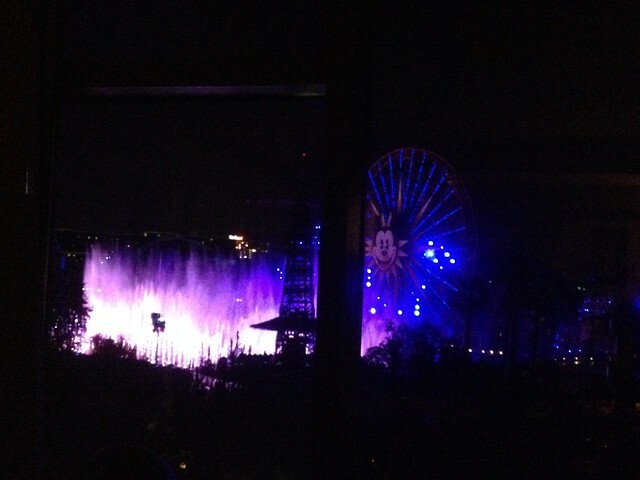 We were able to watch the new winter version of World of Color from our room with the music on the tv. 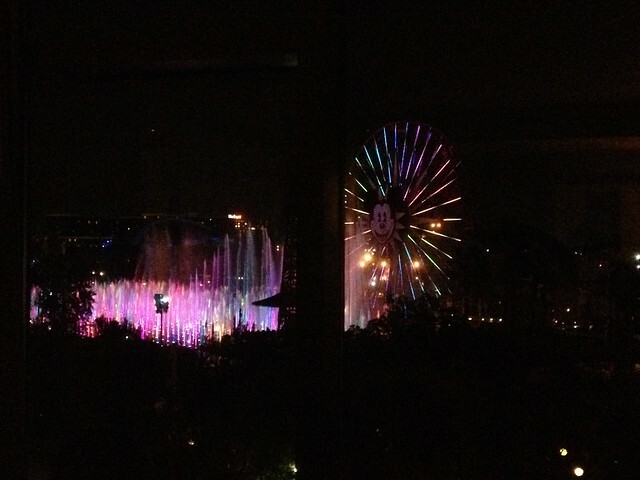 While I will say I still love World of Color, I didn't like this version as much as the one we had seen previously. After World of Color we were all exhausted and decided to head to bed! Next Update: Monday November 17, 2014 - How Many Rides Can We Break In a Day! Last edited by TuffyCO; 02-06-2015 at 02:18 PM.. Checking out Beale St. and a Blues game!!! Yay! You're back! Sorry about all the computer issues, but very glad we're on our way to DLR with you. The trip started out rough, but what an ending with that great view! I want that room if I ever get back there! Thank goodness you were able to save those photos and I'm glad you overcame the computer monsters to start this report. What a rough start you had to the trip, especially when you got stuck for an hour! 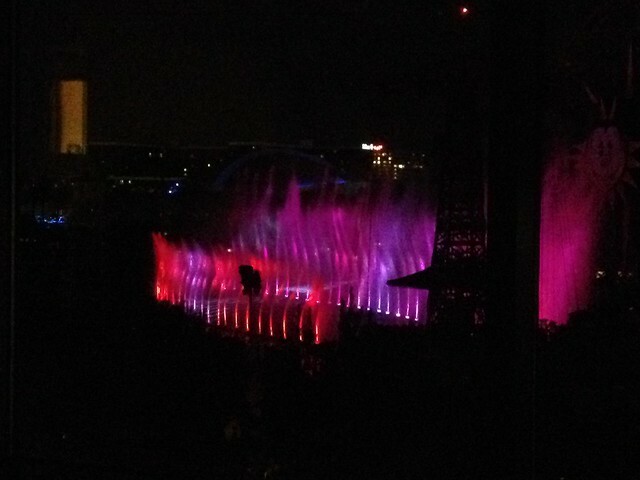 Still, what an amazing end to the day with such a beautiful view of World of Color! Signing on. That view is AMAZING!!!! WOWZA, that view from your room is AMAZING!!!! Glad the drive down was pretty uneventful (minus the sitting in traffic for an hour and the bad weather). I was prepared to drool over your pics of In & Out burgers. Oh well, I'll just google a photo. Me too! The computer monsters can be pretty evil. I have been dying to start, but I had to get the 2014 problems fixed or it would get to confusing to me. The weather was so awful, but I'm so glad we made it through safely. The view was great, better than the last time we stayed there and had a view. I was hoping everyone would wait patiently. This computer issue was and still is a nightmare. I still have a lot of problems to fix, but I couldn't wait to start any longer. It did start out a bit rough, but it made arriving in the room that much more wonderful. It was a great room! I'm really glad sometimes that I am a little OCD. If I had not uploaded all our pictures to Flickr, I would be missing lots. I was missing several folders (each folder contains 30-200 pictures) from 2014, 2013, 2007 and my entire year of 2006 is missing. I am still fighting the monsters with these ones but at least I still have the pictures safe in Flickr. When I get done with this I'm going to store them on Flickr and 2 external hard drives! It was a rough start, sitting on the highway for an hour was awful, we were starting to worry that we were having a National Lampoon's trip. But once we arrived everything turned around quickly. 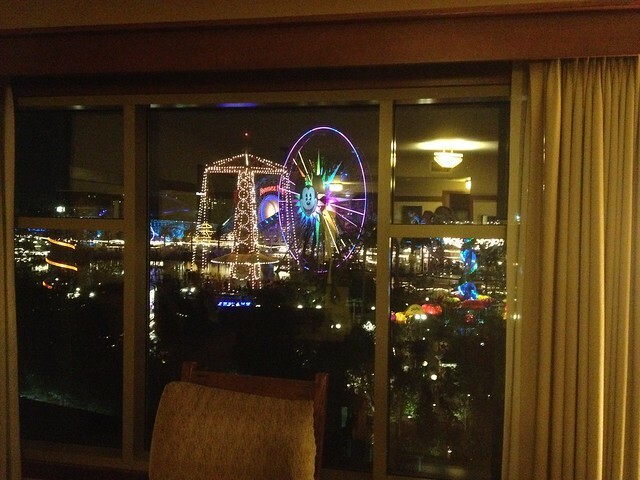 We loved the view from this room! 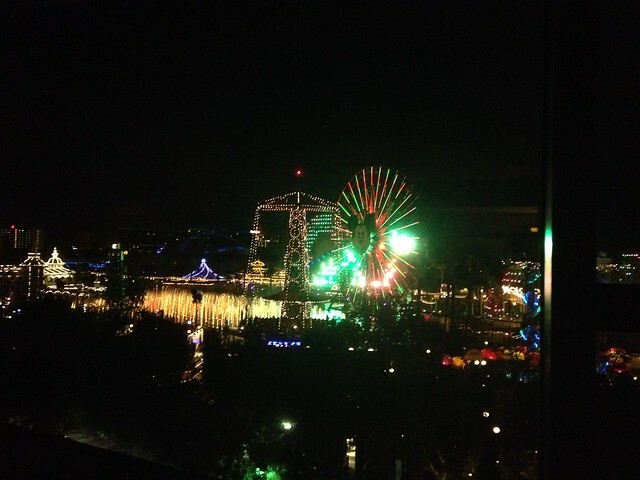 The view from this room was absolutely wonderful and the room was right by the elevators. The drive was not the best, but we made it safely. I'm sorry, I don't know why I really didn't take a lot of photos this day. It was very odd of me. I'm glad all ended well with that scary weather on your drive. 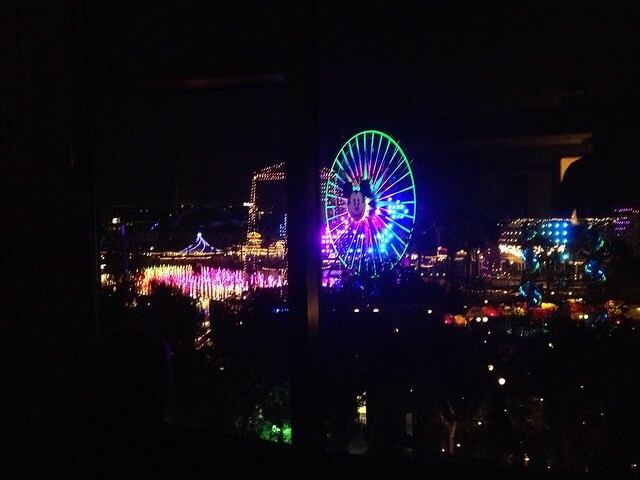 The view from your room is AMAZING! Sailing away on the Dream! Yay, I'm so glad you've started! Sorry about the computer problems... ugh! Wow, what a view from your room! I was too! That was crazy and it was so nice to be able to just drive once we got moving again. The view was fantastic! I wasn't sure I was ever going to get this thing started. So many problems. The computer issues have been a nightmare. I'm still working out older photo issues as well as all my recipes and shopping lists, it's driving me nuts! 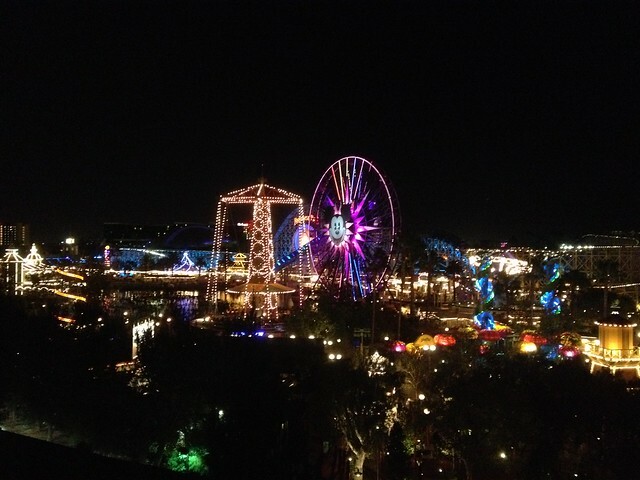 The view was wonderful and made not being in the park everyday a little better. I'm hoping to get an update done tomorrow! Great start. I so hope to get back to DLR someday, but this TR will tide me over! Fall Festival Fun with Friends! Eagles, and Whales, and Bears - Oh My!! My Countdown Counting down to: Just us two and a few PPers too!